Synopsis Fishermen couple Ah Shing and Mei-wah, having lived from boat to shore, stayed together for most of their lives. After their son grew up, they have different visions towards the rest of their days. 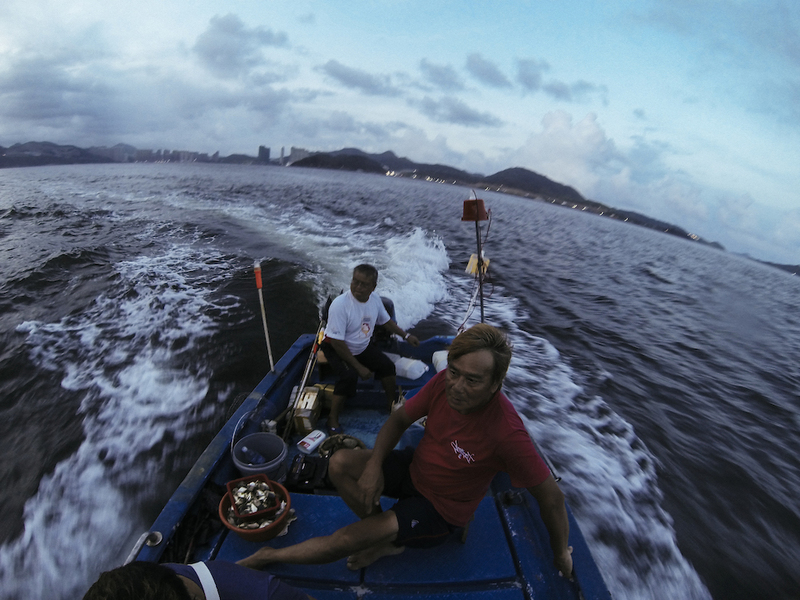 Ah Shing insists on fishing amid the decline of the local fishing industry. Mei-wah works as a factory worker and wishes for a more stable life. Even when there are subtle and profound changes in their relationships due to the different views, their affections for each other never stopped and they still support each other. This story is based on the real-life experience of my parents, and they play their own character in the film. 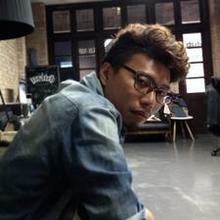 Born in Hong Kong in 1986, Wong Wai Nap graduated from School of Creative Media at City University of Hong Kong. His works Walker (06), Distance (08) and Be With You (09) has exhibited in various international film and video festivals. In 2012, he was selected by the Golden Horse Film Academy as one of the playwright-director. Latest work: The Sea Within (14). years old, I’m at the turning point of my life. The trip sponsored by NAE allowed me to think over my future career. their own character in the film. France, Canada etc. It’s an ideal way of cooperation for me. the festival with limited resources. under the sponsorship of NAE. "It is my honor that The Sea Within was selected by Montreal World Film Festival, and shown in the section of ”Focus on World Cinema”. The festival aims to promote outstanding films from different countries, thus to encourage cultural exchange among filmmakers and audiences. During the visit, I know more about the status of overseas film market, meanwhile, besides cinematic art, I also learn more about different kinds of art-making, such us public art and new media." 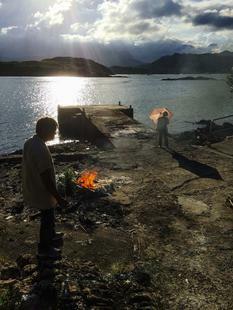 — Shared by Wong Wai-nap, director of The Sea Within, after attending 39th Montreal World Film Festival in Canada. was ardent and ideas out of the film were also bought up for discussion. " 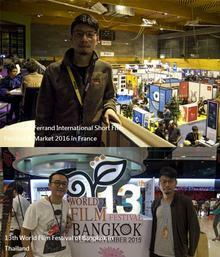 — Shared by Wong Wai-nap, directors of The Sea Within after attending the 7th Kuan-Du Film Festival in Taiwan, under the sponsorship of NAE. and discussed my film with me."